This building is to the immediate east of 3 Little West 12th St., and is referred to in recent references as 1 Little West 12th St. Directory listings of earlier date, however, consistently refer to it under the address of either 33 or 35 Gansevoort St., New York. 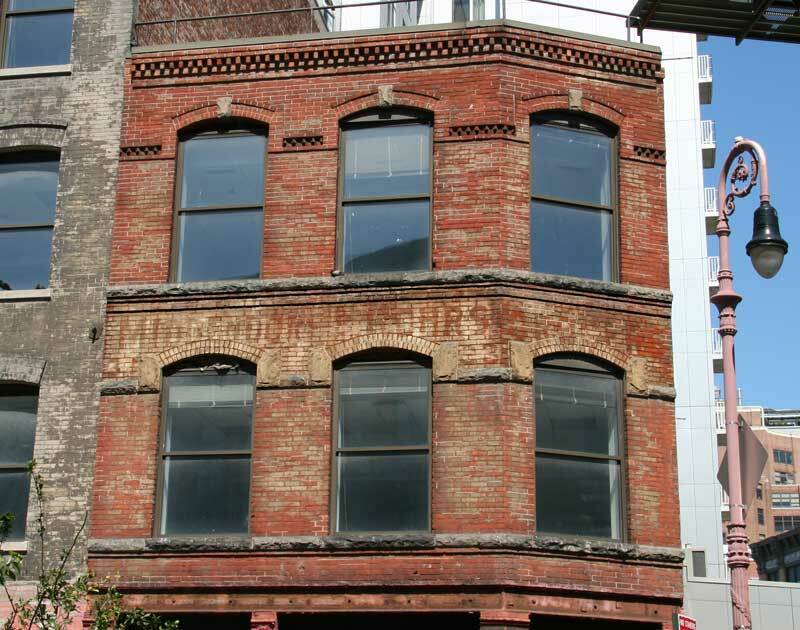 The Gansevoort Market Historic District Designation Report (New York City Landmarks Preservation Commission (2003), pg. 77) gives the following information on 1 Little West 12th Street: "Date: 1887; Architect: Peter J. Zabriskie; Builder: Jesse Newman; Original Owner: James C. Cooper; Type: Store-and-loft building; Style: neo-Grec; Stories: 3; Facade Maerials: brick, stone, cast-iron storefront." Middendorf & Rohrs were wholesale grocers located here from 1897 to 1964. 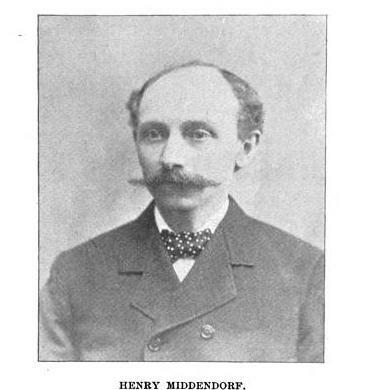 Middendorf was Henry Middendorf (1847-1927), and Rohrs was Herman Rohrs (1853-1904). Their partnership began in 1897. Both men were immigrants from Germany. 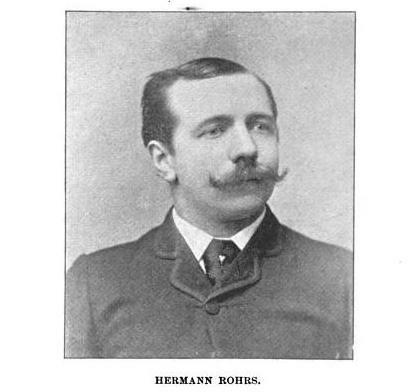 Two other Rohrs were also involved in the business: Peter Rohrs (1867-1949) and John Rohrs (1881-1965). They seem to have been nephews of Herman Rohrs. Peter Rohrs was born in Wilstedt, Hannover, Germany. In 1918/1919 Middendorf & Rohrs built the building to its immediate west: 3 Little West 12th St. Plans filed with the New York City Dept. of Buildings in 1918 describe the new building as "3, 5-sty brick warehouse, 24 x 71 feet; owners Henry Middendorf, 142 W. 92d St. and Peter Rohrs 475 W. 145th St.; architect John G. Michel, 323 45th St. Brooklyn" (Office for Metropolitan History, "Manhattan NB Database 1900-1986," (2009), http://www.MetroHistory.com). Middendorf & Rohrs left a prominent MR in the pediment of their building (click for image). These portraits of Middendorf and Rohrs appeared in a publication entitled Grocerdom: A History of the New York and Brooklyn Grocers' Associations, 1892.